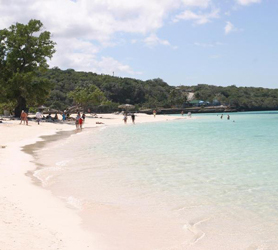 A Casa Particular in Guardalavaca or home stay in Guardalavaca Beach is not an option as the whole resort was built exclusively for tourism, having few if any Cuban residents. However, to experience the richness of a Cuban Homestay we can offer you casas close to Guardalavaca, within a few kilometers of the beach, ideal to visit the white sands and discover the surrounding areas. You will experience amazing culture, immersed in one-on-one contact with your Cuban hosts in the beach resort of Guardalavaca. Learn about Cuba’s rich history, together with true Cuban hospitality. The owners of your casa particular near Guardalavaca speak fluent English and have a profound knowledge of the area and its many sights. Any questions you wish to ask will be answered instantly by the Cuban family you are staying with. Some of our casa particulares also offer meals and drinks, meaning you’ll get to try some authentic Cuban food also. Here is a list of just a few Casa Particulares near Guardalavaca which can be reserved online through us. Are you looking for cheap flights to Cuba? 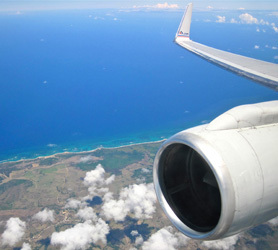 Immediate confirmation of your flight to Guardalavaca Cuba is just 2 clicks away. We also offer a price comparison of all available airlines to Cuba and Guardalavaca to allow you to get the best flight deals to Cuba right now. Our Cuba flight checker is free and can help you plan your vacation budget. Once you have booked your flight to Guardalavaca Cuba, you can conveniently book your hotel, car rental or any other service on this one website, we are also available on our chat system should you need any personal help with your travel to Cuba or to coordinate your whole trip to Guardalavaca. We also offer VIP arrival services, airport transfers and much more, just ask us on our chat system and well coordinate your whole trip for you! Guardalavaca Cuba Mobile phone network coverage is very good these days. Some areas of Guardalavaca may offer limited coverage. These include remote coastal áreas of Banes, Moa and Mayari but, overall, it’s good. Unless you use a US mobile operator it’s more than likely that you will be able to use roaming in Guardalavaca but this can be expensive. Staying connected in Cuba at a better rate will mean obtaining a Cuba SIM Card throughout your stay. Using cell phones in Cuba and Guardalavaca is then much like anywhere else in the world where you can purchase Cubacel prepaid SIM card and use this anywhere in Cuba. You can purchase these prepaid Cuba SIM cards at the offices below and also recharge the phone with credit at these locations. Also, many hotels and stores in Guardalavaca offer prepaid recharge cards should you need to do this on the go. 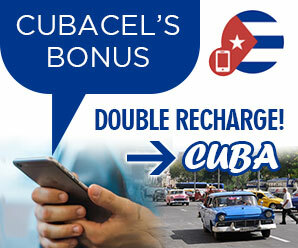 If you have a credit card there are often Cubacel double recharge offers but to obtain these you will need to go on the internet as they are never available directly at Cubacel Offices in Guardalavaca Cuba. 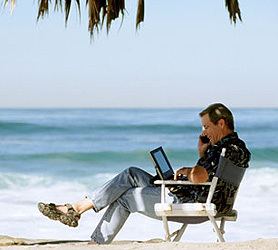 GPRS, Mobile Internet & 3G connections can also be used in Guardalavaca Cuba. Cuba offers mobile internet to cell phone users with almost 100% national coverage but, this is more expensive than you are accustomed to and the network can be slower in Guardalavaca Cuba than other countries. If you decide to take your own mobile phone to Guardalavaca Cuba, please be aware that it will need to be unlocked and operate on the 900 to 1800 MHz GSM frequency. Almost all mobile phones produced since 2005 are quad band and as such will work but, please check your owner manual to avoid disappointment. To get the most out of your trip to Guardalavaca Cuba we wholeheartedly recommend you rent a car. We have some unbelievable Guardalavaca Car rental offers ranging from cheap economy cars to the most modern 4×4 SUV models. You’ll also find we offer 7 and 9 seat minivans in Guardalavaca Cuba, perfect for larger parties or families. Arranging your Cuba n Rent A Car in advance is crucial to your trip and, by checking our rates and availability below, you’ll be able to get the car to suit your budget and ensure it is ready and waiting on the exact day and time you choose. 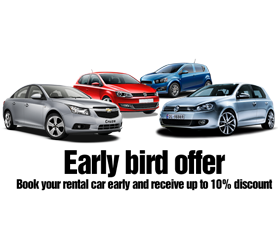 Guarantee your car in Guardalavaca from Havanautos, CubaCAR, REX or Via Rent a Car now. This way you’ll avoid setbacks or unnecessary unplanned costs while you’re in Cuba. Our famous Cuba-One-Way® program also caters for those of you who wish to collect your Cuban rent a car in say Guardalavaca and return it in another Cuban city or airport, ensuring that your exact itinerary starting from Guardalavaca is organized in advance.